Next Friday (Oct 15) we’ll play another gig in Budapest. 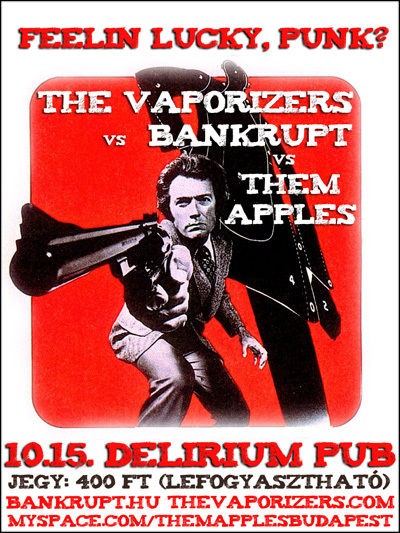 This time it’s gonna be the Delirium Pub (VII. Kertész utca 33), and the other bands in the line-up will be the Vaporizers and Them Apples. If you don’t come, you’ll be making Dirty Harry very angry, and you certainly don’t want that, do you? This entry was posted in band news and tagged budapest, gig, punk by admin. Bookmark the permalink.